An ‘addition’ to the RAF Bristol 175 Britannia Fleet. Ordered by BOAC she was flown to Marshall’s of Cambridge for fitting out on 13 May 1958 and delivered to BOAC at London (Heathrow) Airport on 10 June 1958. 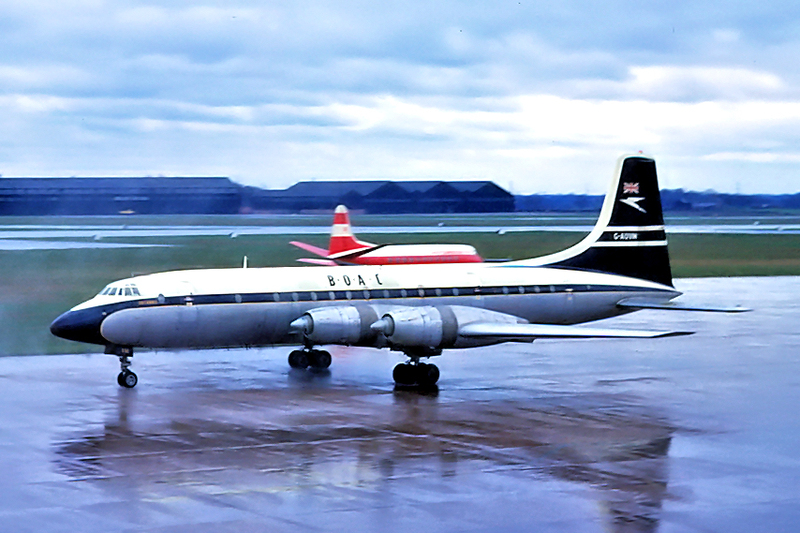 Britannia Series 312, G-AOVM, went into service on 26 June 1958 as BA581/130. On 27 February 1963 while at Richmond VA, G-AOVM was taxiing onto the apron after landing when she rolled on to soft ground approximately 15 feet from the hard standing. G-AOVM operating as RCH3374 was delayed for six hours while waiting for equipment to tow her out. The last service that G-AOVM operated for BOAC was on 26 March 1964 on a flight from Salisbury, S.Rhodesia (now Zimbabwe) to London as BA922/086. 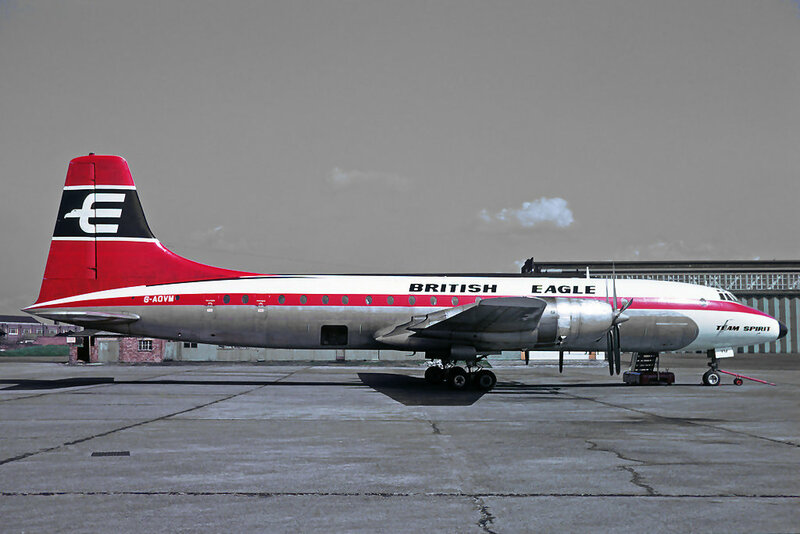 British Eagle International Airlines then leased the aircraft on a five year hire-purchase agreement and she was delivered to them on 29 March 1964. Later named ‘Team Spirit’ and now owned by British Eagle she was converted to a 312F at Speke, Liverpool in December 1967. G-AOVM operated British Eagle’s last flight on 07 November 1968 whilst positioning following the demise of British Eagle International Airlines. 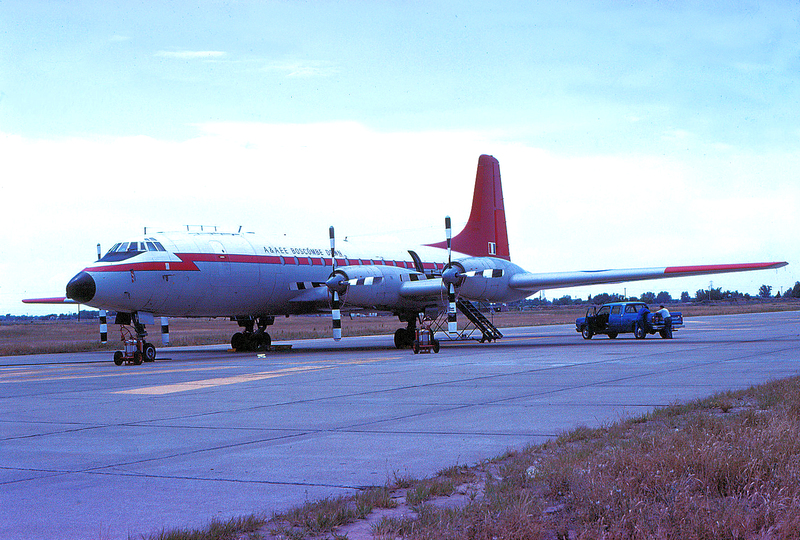 G-AOVM was purchased by Air Spain on 06 March 1969 and re-registered EC-BSY, wearing full livery from 01 December 1969. Later, planned use by the Australian airline, Southern Cross International, fell through and although the livery was applied it was removed prior to leaving the hangar. Sale to the UK Ministry of Defence in November 1971, saw her being operated in the markings of Aircraft and Armament Experimental Establishment (A&AEE Boscombe Down), still retaining the name ‘Team Spirit’ but with a new serial number, XX367. She was taken on strength at Boscombe Down on 03 May 1972. By the end of March 1981 the aircraft had flown 33 100 hours and landed 10 203 times. XX367 celebrated her 25th Anniversary when she flew back into Filton on 29 April 1983 under the command of Sqn Ldr Ken Newman with Flt Lt David Berry assisting. The flight engineer was Alan Kidson. Withdrawn from service by the MOD in March 1984, XX367 was ferried to Cranfield under the Command of Sqn Ldr David Berry for delivery to Katale Aero Transport – registered 9Q-CHY and named ‘Hubert’. Purchased by Business Cash Flow Aviation (BCF), Zaire, in April 1989, she reverted back to her original name of ‘Team Spirit’. 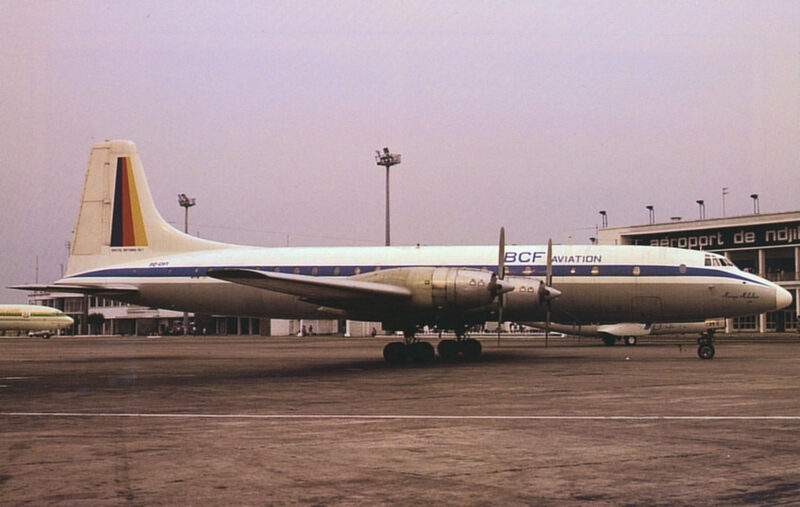 Following a revision of BCF’s livery, 9Q-CHY was repainted to match their Boeing 707 and a new name was applied – ‘Mwenye Mikebwe’, the grandmother of Dr Mayani (the owner of BCF). At the end of January 1991, it was reported that 9Q-CHY was still in operation following a heavy Check 2 ‘Zairean style’ overhaul, which possibly included the fitting of a new freight floor. At this time 9Q-CHY was the only operational Britannia anywhere. Retired in July 1991 and stored at Kinshasa, she was broken up at a later date.